Hey there Peeps! Well I’m here today to admit that I have a problem. I am a chronic list writer. Any little scrap of paper is fair game to scribble on. Is the list the problem? Nope. Losing the lists is the problem. When you write important information on something that looks like trash…..guess what’s gonna happen? Yep you got it…lost lists. So I created a hardcover pocket folio to tuck in all those precious little scraps. I’ve already put it to work as you can see! Really Reasonable Ribbons~Satin Swirls on Red, Satin Swiss Dots on Turquoise, Sheer Organza with Satin Center Black. The best part???? The wonderful coordinating trims from Really Reasonable Ribbon! I added the Black Gingham, Satin Scallop Edge, and Diagonal Stripe to the rings. 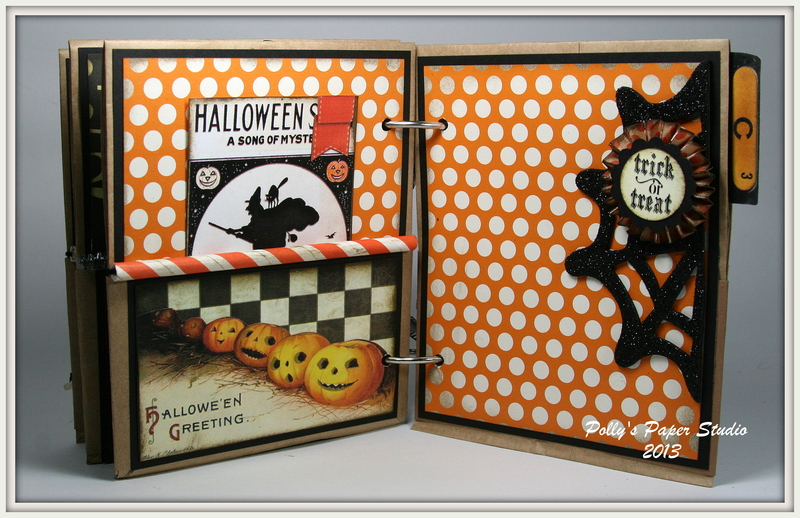 There are tons of other great choices of ribbons and trims for your Halloween projects in theHoliday section. You should hop on over and check em out. 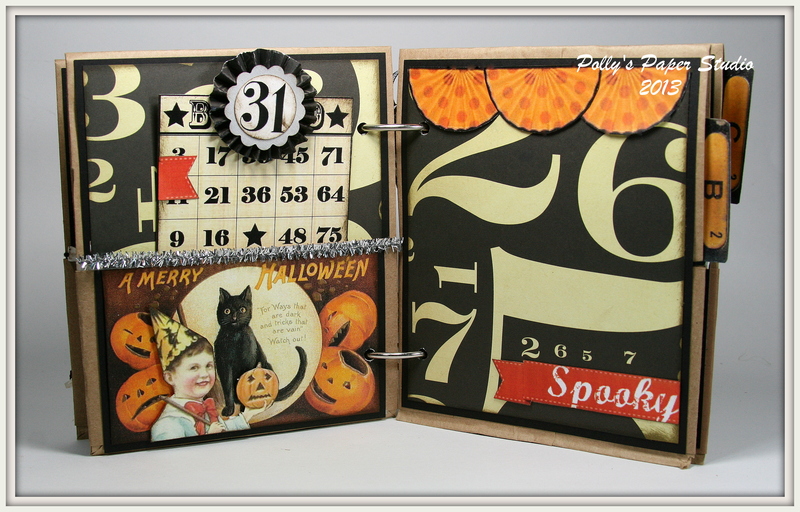 Also for my album cover, I added a stamped ticket, chunky rosette and a metal mailing tag rimmed black clock. The Witches Ball image is from Graphic’s Fairy. The pages inside have pockets that hold tags. It’s a little hard to tell in the picture…but the pumpkin images are raised on Foam Dots to make them dimensional. 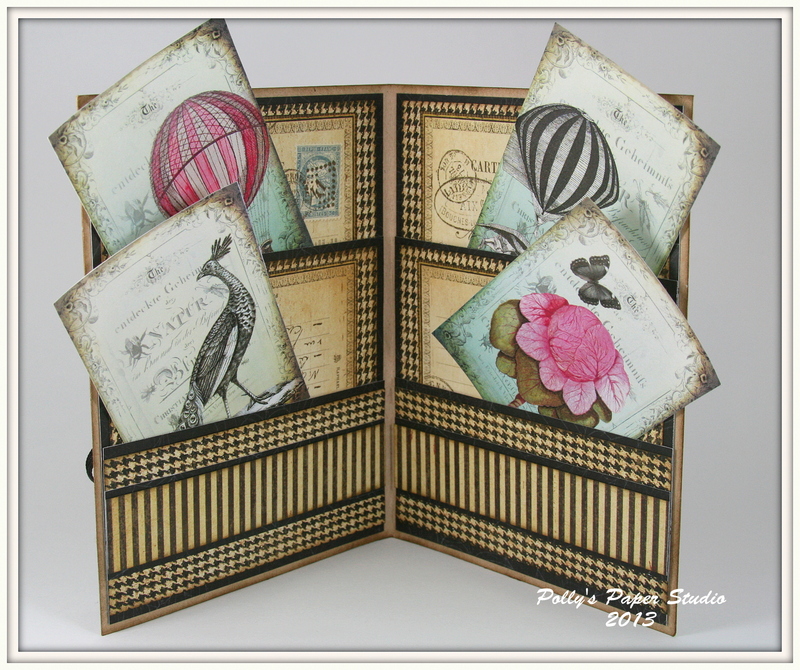 I used a funky striped straw as a pocket topper and added Tim Holtz clips as fun metal accents. There’s another rosette as the topper to the tag in this pocket. I added tinsel trim to top this pocket for a little sparkle. There’s a fun banner at the top of the right side page to carry the orange over to this side of the book. The little boy image is on foam dots for dimension. Another straw..this time in orange. I added a glittery spider web…just because I could and topped it off with another rosette. The girlies and I will have lot’s of fun creating these albums Tuesday in class. I will also have a limited amount of kits available in the Etsy shop. Here is a preview of the folded book…. Here is the inside with the pockets…. don’t worry…I’ve written all the mushy stuff on the backs of the tags lol. I’ve added just a bit of Seam Binding in Tobacco to 2 of the tags. If I had done all 3 it may have been too bulky. I used a thin width of brown trim from Really Reasonable Ribbon to tie this little book together. You will want to choose the color that coordinates with your paper selections. Here is the back of book….I used some thin chipboard, die cuts, and stickers. Lot’s of detail…but not too girlie. I should also mention that I’ve inked the folded edges heavily. Okay…so here is the super easy tutorial. I choose to use Scor-Tape for the adhesive….since it will be taking a beating squished in a bag of camping gear. Bonnie has a new challenge at Really Reasonable Ribbon. Buttons and Bows. Now tell me that doesn’t have my name all over it??? Here’s my project. It’s a vintage inspired tag booklet. I added a simple layered bow of black seam binding, and licorice bakers twine. 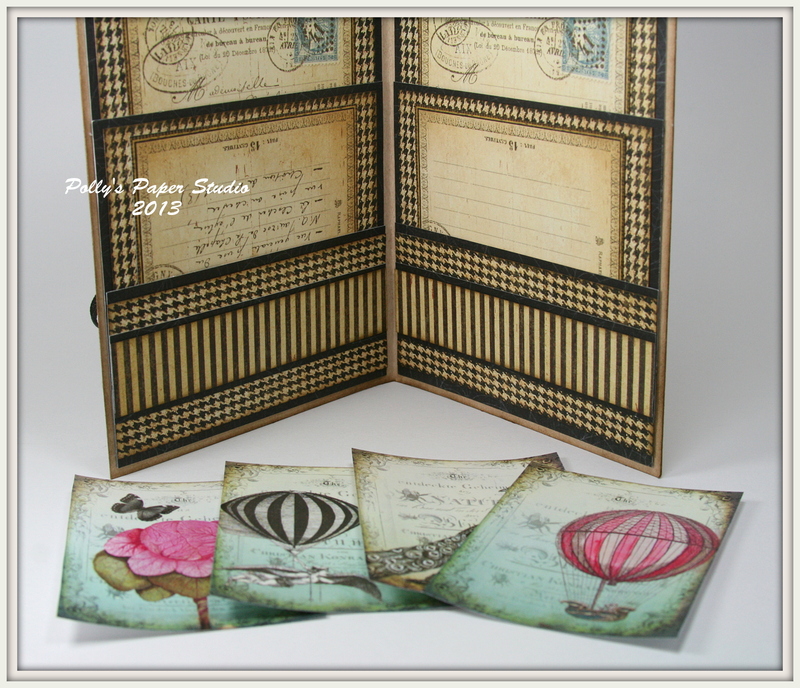 That beautiful vintage image is the Shabby Whimsy Digital Collage Sheet from Ephemera’s Vintage Garden. I layered it over the little leftover bits and pieces from my G45 dt audition. I think they coordinate beautifully. There’s pockets inside to hold the tags and pics. If you think you’d like to join in the fun….you can check out the challenge here. And add your buttons and bows project.